A retired Tacoma resident crafts high-end chef’s knives and fishing poles. A group of college students venture into a world of virtual reality. A pair of aspiring entrepreneurs designs a prototype for a new product they’re launching. 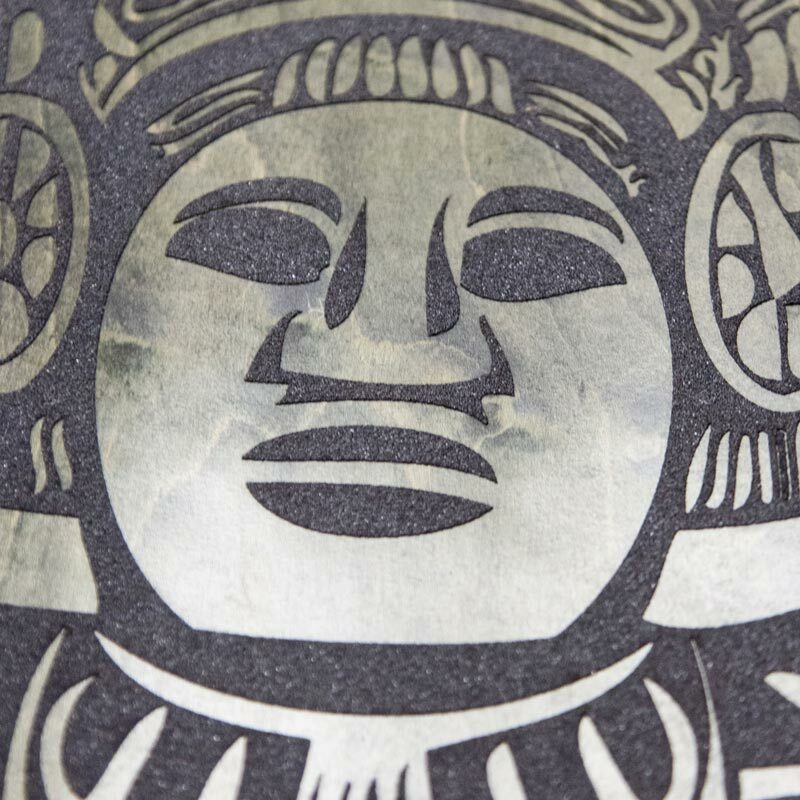 Creators can see it all within the walls of FabLab Tacoma, a makerspace about 7 miles from Pacific Lutheran University’s campus. And a Lute is one of the masterminds behind the innovative workshop that invites community members to learn, build and innovate. Makerspaces aren’t new to the do-it- yourself landscape. But the for-profit approach employed by FabLab is young, Davis says. Typically, makerspaces have been affiliated with universities and libraries. FabLab is membership-based. 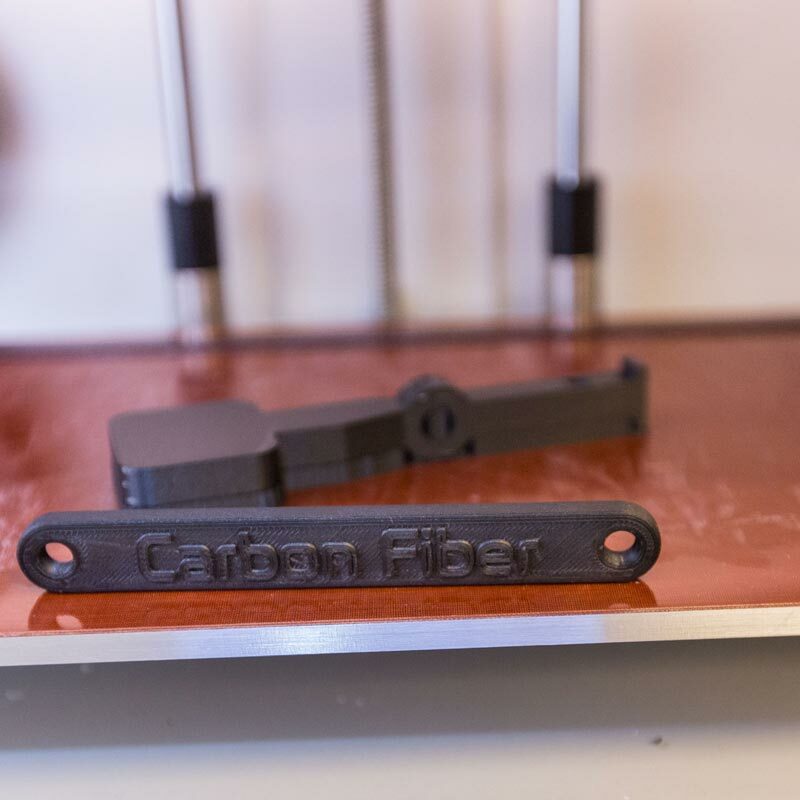 Users pay a monthly fee to use the equipment, which includes 3-D printers, a laser cutter, AutoCAD software, computer-controlled sewing machines, woodworking and welding tools, virtual reality modules and more. Davis says that’s just what FabLab offers, the ability to let your imagination and creativity run wild (safely, of course). Every time makers come into the space, he says, their minds explode with ideas. Davis says the idea for FabLab came together after a lifetime of tinkering with his godfather, Steve Tibbitts. “Steve is a serial entrepreneur,” Davis said. Tibbitts, another FabLab co-founder and an electrical engineer, attended a conference in Silicon Valley, California, several years ago. 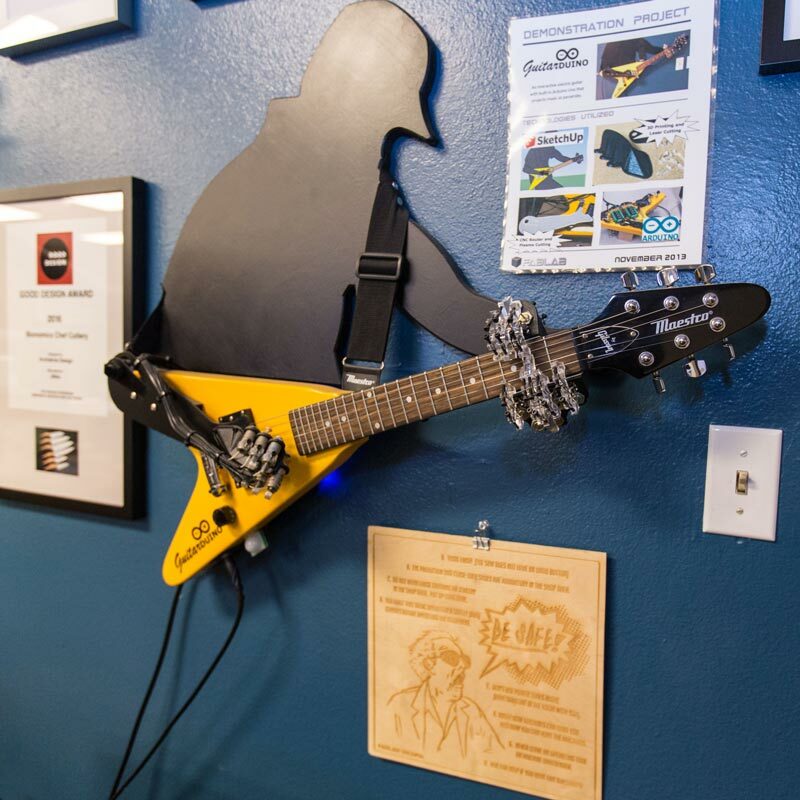 During his downtime, he visited a massive commercial makerspace and immediately thought something similar would thrive in Tacoma, a do-it-yourself community full of creative minds. He wasn’t wrong. Since it opened in 2012, FabLab has grown to serve roughly 100 members who sell products on Etsy and at public markets, among other venues. And then there are members who graduated to top-selling status with retailers such as Amazon. Dustin Smith, a founder of the Tacoma-based company C4 Labs, says his business started as an idea and a prototype in FabLab’s workspace. As far as Davis is concerned, “a few hours” is an understatement. “They practically camped out here,” he said of Smith and his business partner. Smith says FabLab and other makerspaces are vital to the fabric of an innovative community. Davis said FabLab has community partnerships with organizations such as Tacoma Art Museum and UWT. He hopes to expand those partnerships, including to PLU. “As we get more and more urbanized, it’s tough for people to get the space they need,” Davis said, especially for creating. He said even folks with the most basic skill set can benefit from the tools available at FabLab. For example, someone with a passion for remote-controlled cars could come to FabLab and build one. 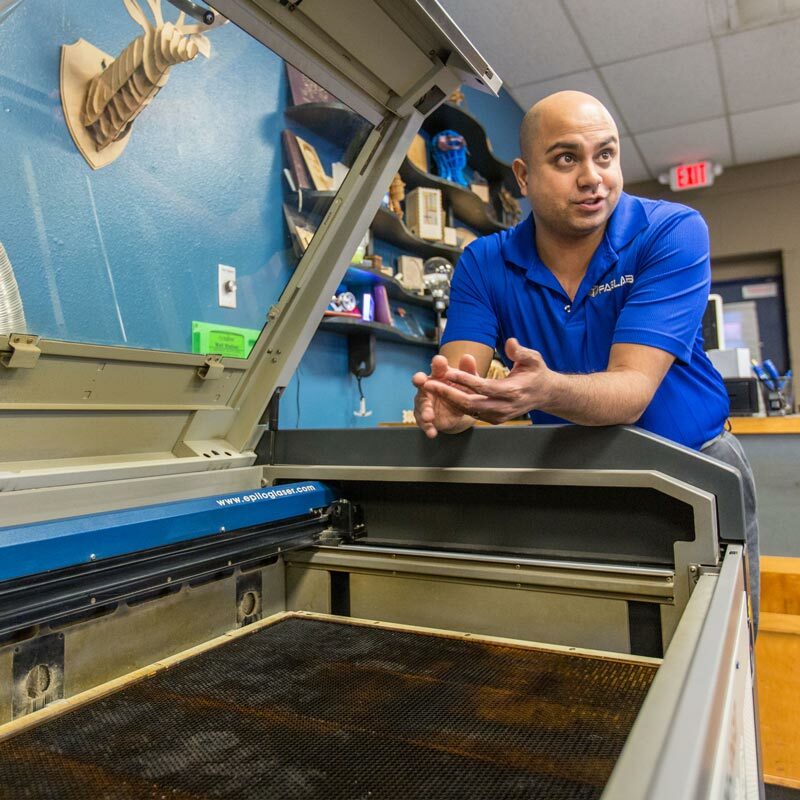 The 4,000-square-foot space has the AutoCAD software to create the model, a 3-D printer to build a prototype based on that model and all the other necessary tools to bring the concept to life. FabLab also is in good company outside Tacoma. The Obama administration launched an initiative called A Nation of Makers to promote making culture, Davis said. He and Tibbitts were invited to the White House as part of the effort, along with representatives from other makerspaces around the country, to collaborate and discuss the future of the maker movement. Davis said the future of the initiative is unclear, given the newly elected president. But he said the experience showed him that FabLab isn’t alone in its innovative journey. “It was huge to know we weren’t a single voice screaming in the wind,” he said. PLU Professor Leon Reisberg has brought his education students to FabLab. 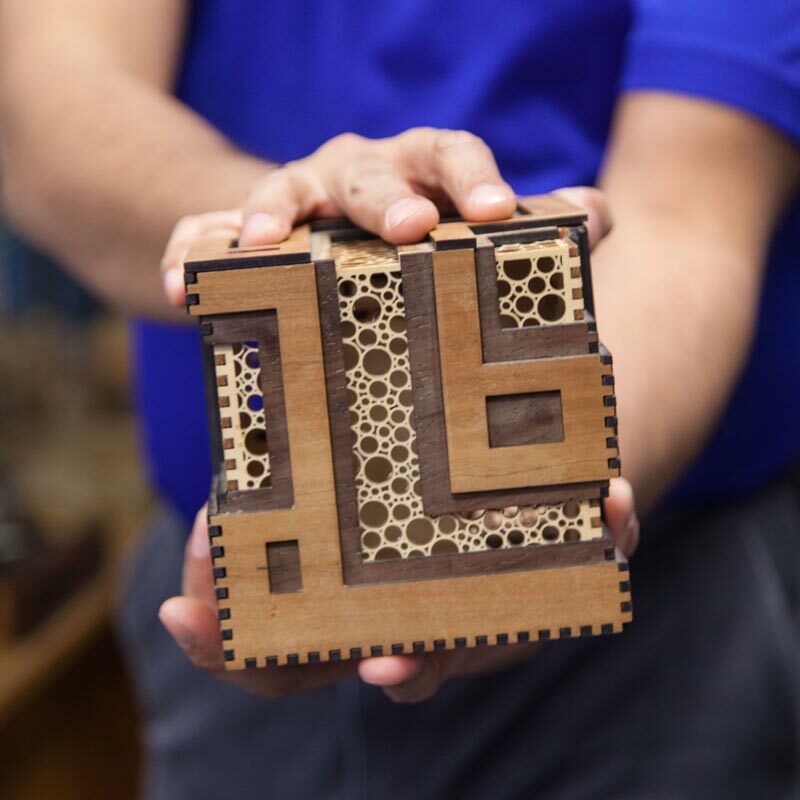 He says many schools are embracing making culture in K-12 education, and aspiring teachers benefit from seeing the educational components at work in the makerspace. Seeing the cutting-edge infusion of technology in education helps PLU students think about new ways to incorporate STEM (science, technology, engineering and mathematics) into learning, he added. Additionally, Reisberg said makerspaces such as FabLab help address the digital divide that often exists between socioeconomic groups. Mark Mulder, assistant professor of business, also brought PLU students to work with FabLab in 2013. They helped explore marketing opportunities for the makerspace. Mulder said Davis is a great example of a Lute with a true sense of vocation. 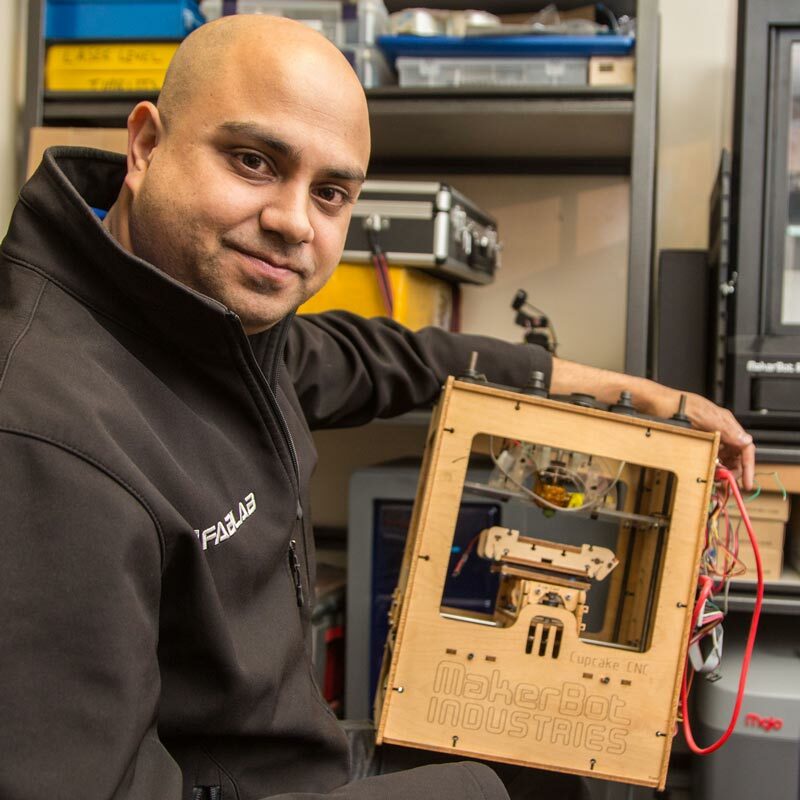 “He has sought different professional positions with major corporations, while serving the community through FabLab and sharing his passion for a space that is so important to this community,” he said. Davis, standing among the scattered materials of past and ongoing projects, said he now spends much of his time working his day job at Costco. But his work at FabLab, which still includes teaching some classes, energizes his creativity. Davis says he often feels like he could build just about anything. All anyone needs is an idea, and FabLab can provide the rest — from the tools to make it happen to the people with the know-how. “We can hook you up with someone who tried, someone who failed and someone who succeeded,” he said.